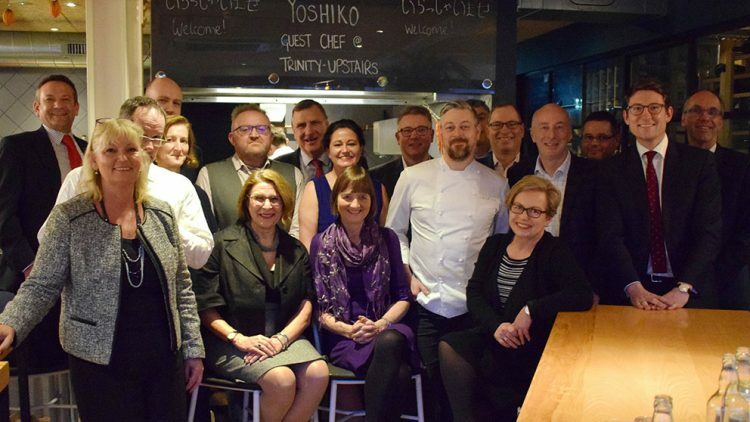 Baking bread and talking food – what better way to spend an afternoon than in the company of other foodies at Trinity with Adam Byatt and bartlett mitchell. I chaired bartlett mitchell’s recent Round Table entitled, ‘People Shortages – is it time to get radical?’. The Round Table was attended by catering and FM consultants, HR experts, FM directors and bartlett mitchell senior management. They discussed whether ‘recruit, attract and retain’ or the new AI technologies are the key to people shortages in foodservice? and if they think food, they think hospitality in hotels and restaurants, not commercial offices. Is it a lack of education of the children in schools, or is it a lack of communication in the right places? Are we spending too much time talking between ourselves to find the answer? Let’s bring some millennials to the next round table and ask what we can do to attract them? How do we reach this new tech savvy generation – let’s talk to them on their platforms, be it YouTube, Instagram etc. But let’s give jobs meaning and a sense of pride and achievement – tell them the stories of what we do and how we can change lives, not just here in the UK but around the world – ‘Perkee’ coffee is an award winning example of how, joined together, this industry can shape the world. The human race will not survive without food and water so why don’t more people look at it as a career for life, not something to do whilst at University, but a powerful industry that fuels the body and mind. The obsession with eating healthy surrounds our millennials, then why aren’t they knocking on our door to come and work in this wondrous industry – perhaps it is because the door is not so much hidden to the world of commercial food services, but is actually invisible! We live our industry, our people, the experience, our culture. We breath food and drink daily. We need to breathe new life into this food industry, but not by talking to each other, but by talking to those not in the industry. New talent sparks new ideas; new ideas brings the industry alive – let’s set off some fireworks!